NEVER BEFORE in the history of the FoW blog have I done anything remotely resembling this kind of review. You can take this to mean that I’m only inserting such a review into the middle of all the writing-related posts and activities because I feel it’s very important and worthwhile to share. 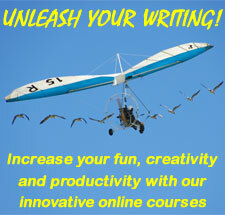 First off, let me ask you this: What is the purpose of your writing blog? And what impact would it have on your life if your blog suddenly got sucked into oblivion? Next question: If your blog is extremely important to your writing life/career and losing it would be devastating, how much protection do you have against that kind of loss? But would you know how to restore your site from a database backup? 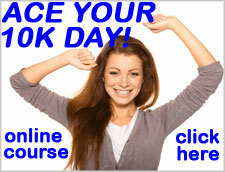 If you’re not sure what that question means, then you won’t know how to recreate your entire blog from the database. I’ve read sad stories about bloggers who’ve had to do it and, believe me, it does not sound like an uplifting experience. When I realized that having a database backup did not mean I could press a button and restore my blog to its pristine state, I started looking around for a supplemental plugin. That’s when I found blogVault—a backup plugin where you really can press a button and see your site restored. Not only that, the customer service is superlative. blogVault founder Akshat Choudhary will personally ensure that your site will be restored and look the way it should afterwards. I’ve experienced Akshat’s assistance on two occasions and I can only call his level of customer support AMAZING. He goes beyond the call of duty. How Does It Work? And What Does It Look Like? A new user will need to sign up on the blogVault website and install the plugin from there. (Currently it cannot be installed from the WordPress plugin area.) After that you can login to blogVault at any time and monitor your backup needs from the simple and easy-to-understand dashboard. On the dashboard you’ll be able to see when your latest backup occurred (this takes place automatically on a daily basis, or you can click on Backup Now). In the dashboard you can even do a “test restore.” The test restore takes one click and then some waiting while your site loads. That takes a little while, but when it’s finished you can see what it will look like if you ever do need to restore your blog from a blogVault backup. I did the test right away and my site looked beautiful (i.e., completely normal). The first time I called on Akshat for help it felt like a life-changing experience. Having gone through a nightmare updating to the latest version of WordPress for this blog, I was loathe to try it on my travel blog (Milliver’s Travels). So, guess what? For two years I ran my travel blog with no updates. If you know anything about blog security (I’m talking hackers), you’ll know that failing to update to the latest version of WordPress is a security risk. That’s how frightened I was of losing what, to me, is a work of art from my own hands. I was more frightened of the WordPress update than I was of hackers. Crazy stuff. But after installing blogVault, and with Akshat supervising, I didn’t have to worry about whether the WordPress update would screw up my travel blog. The update actually DID come with a big, horrible hitch that tooks hours to resolve . . . but I never had to worry for a moment that my site would turn to spaghetti like it did once when I updated the Fear of Writing blog. Because if it did turn to spaghetti, I could always restore it instantly from my blogVault account. The second time I called on Akshat was when Brian and I moved our blogs and websites to a new host. Without blogVault, I would have been very nervous about the transition. Akshat and his plugin ensured that the technical hitches we did encounter were not deadly. I remained calm even when I saw Milliver’s Travels go slightly haywire for a few minutes while Brian changed some mysterious line of code (or whatever). There was always the full restore if I needed it. So far, I’ve never had to use the full restore function of blogVault—but if I ever do need it, I know it’ll be there to save my bacon. blogVault is not a free plugin. After the 30-day free trial, it’s $9 a month for one blog (see pricing options for multiple blogs here). Currently all the plugins I use on both my sites are free, except for blogVault. I feel it’s worth the money. Not just for the stress and work it will save me if my site ever does crash, but for the peace of mind I have now that I don’t have to worry about it. Akshat is one of those people who leaves a big impression without being anything but himself. He lives in Bangalore, India and provides tech support via GotoMeeting.com, where he can share screens with you and guide you through anything you need help with. Like Skype, you can also communicate verbally through this program. Having spent time with Akshat on GotoMeeting.com, I would describe him as friendly, caring and supportive, funny and technically savvy, as well as humble and modest. When I asked Akshat for a photo of himself to put with my blogVault review, he sent me a gorgeous picture of himself sitting in front of the Taj Mahal. Well, I run a travel blog so you can guess what happened next. 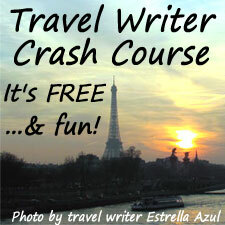 Yes, I asked Akshat to be a guest blogger on Milliver’s Travels! Please visit my travel blog and leave a comment for Akshat. And if you decide to install blogVault on your WordPress blog, tell him Milli sent you! FTC Compliance: I am an affiliate of blogVault. And I need and appreciate income as much as anyone else. But the main reason I wrote this review is because I want to help spread the word about Akshat’s invaluable plugin. 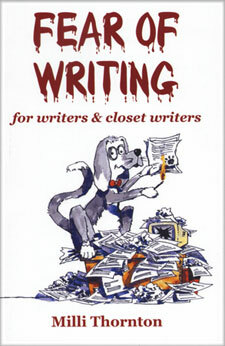 Milli Thornton is the author of Fear of Writing: for writers & closet writers. 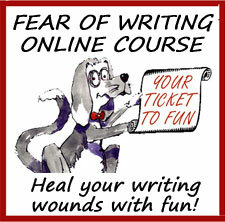 She is owner of the Fear of Writing Online Course, where her mission is to put the fun back into writing. 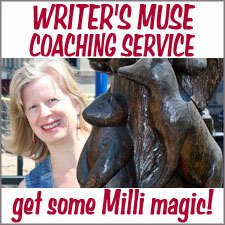 Milli coaches writers individually at Writer’s Muse Coaching Service. Julia, thanks so much for reading. You’re right, you won’t be able to use this plugin on Blogger.com. But I very much do hope you find something helpful for Blogger. If you do, please come back and post what you found. P.S. 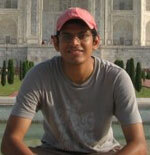 Thanks for visiting Akshat’s Taj Mahal story. So glad you liked it! j ~ That was actually one of my goals: to scare writers into thinking about this more than they normally do. Good luck with finding something for your blog. Since you use WordPress.com, would you mind coming back to post your solution? I know not everything created for .org is compatible for .com and vice versa. So let me know which backup plugin you end up with. Thanks! I think I’m in the same situation as J; I don’t think I have any backup plugin. With my last two blogs I had an IT guy who worried about all that stuff, now I have to. Good to know of this service, I’ll start by researching the WordPress plug-in. Gotta save my bacon! I am a full time WordPress trainer and was also totally unaware that the ‘standard’ plugins only backup the database and nothing else. I train in a classroom environment (in a non-techy style) and although I only teach to Intermediate level I thought I knew WordPress pretty well! Proof that I don’t! blogVault is clearly a very worthwhile (essential!) investment and I’m off to sign up right now. I’m thrilled my review could help a WordPress trainer with the vital issue of backups. And I believe you’ll be happy when you try blogVault. After you’ve tried it for a while I would love to see you return here and post your impressions. Hearing what a WordPress expert thinks about the plugin will be most enlightening. I will definitely take up your kind offer to post an update. I’ve already had firsthand experience of Akshat’s customer service. You’re right, it’s exemplary. I’d also add my endorsement for the need to back-up a WordPress site, infact ANY site, regularly. Losing your hard work can be devastating, particularly if you need it professionally. I thought I was backing mine up daily, but it appears I was sailing too close to the wind – do you have that expression is the US and Canada? Ian, I’m tickled to hear you’ve already had the Akshat Experience. He’s quite unique! A most important post. I do have the database plugin but honestly, I would have NFI how to restore the stuff. Figured I’d figure it out if the time came. Excellent review, and yes, some things are worth paying for.